For all groups credit card details are held to cover any unlikely event of damage to property. No Alcohol to be consumed in the property due to our onsite liquor licence. 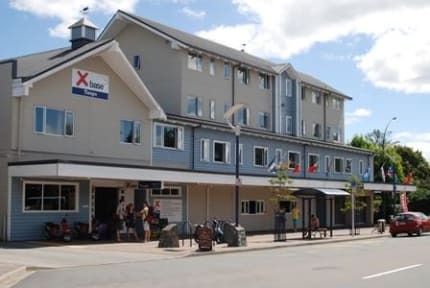 Here at Base Taupo we are a bunch of travellers providing cold beer, primo travel and activity advice and a bed type to suit every traveller! - Nightly Bar entertainment - Boozy Bingo, Trivia, Live DJs and Music at our onsite bar and nightclub open 'til the early hours! 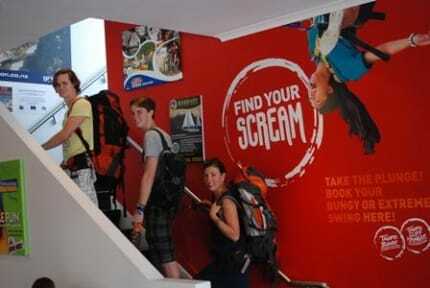 - Range of beds - Shared dorms - Private rooms. Whether you're on a budget or a little picky - we've got all Bases covered! - Soak up the rays on our sundeck with one of the best views in town! - Central Location surrounded Taupo's hottest nightlife, bars and restaurants! - Onsite Travel Gurus who know everything you need to know about NZ's most beautiful small town! 24 Hour check in available on Request. Ambiente bem agradável! Tem um bar bem aconchegante no térreo. O wi-fi gratuito não funciona nos quartos. One of the most amazing hostels I’ve stayed so far; the bedroom was pretty good, the staff was kind and supportive! The bathroom was clean 💛 I enjoyed a lot my time there - was the best part of my Taupo trip (rained a LOT hahahah).